We’ve made this proclamation before, but this year feels a little different. I don’t own him on any fantasy teams, so we can cross that mark of curse off the list. 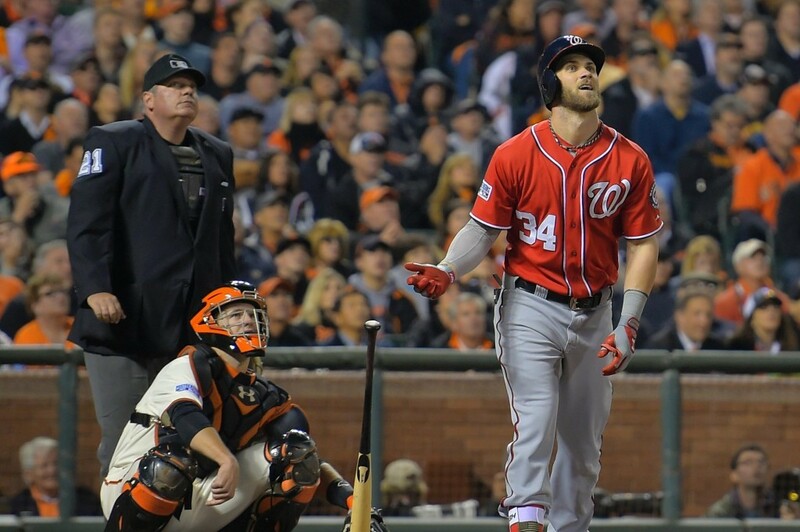 Bryce Harper won’t be the MVP of the National League in 2015. But he’s going to stay healthy a full year and finally have a year worthy of him being in the discussion. After reading a recent Q&A with Nationals beat reporter Chelsea Janes regarding all-things Harper, it’s important to remember that he’s just 22 years old and he’ll be that age all season. Most guys are wrapping up their times in the minors at that age and hoping to break into the big leagues. Harper already has four postseason home runs and has appeared in two All-Star games. It’s not exactly like he’s done nothing. He just hasn’t been Mike Trout. We still love Bryce Harper so much – even if at times he’s hard to love. We hope he doesn’t hold the Nationals over a barrel when the time comes to sign a long-term contract. But this is going to be the year Harper stays healthy and plays in 150 games and makes the Nationals his team. He’ll become a household name and post near a .900 OPS and cross the 30 home run plateau for the first time. We suspect he’ll do all this because everyone will notice just a little bit less than they would have when he was 19, 20, or 21; and this will benefit him. At the end of the day the cream always rises to the top. Harper has shown enough to show he has elite tools. He’ll play right field, which seems a more normal position for him than left; it’s a more organic place for a star to rise. Harper will have some MVP awards in his future, we’ll say at least one or two; and it won’t be in 2015. But the Harper we saw in April of 2013 and in the postseason of 2014 will be around a lot more often in the season to come. It’s going to be glorious for those who own him in fantasy and for the ham and egg baseball purists who are dying to see this guy succeed. Next Story → Bryce Harper says he’s going to bring a title to D.C.